As well as being a welcome splash of colour on the plate, beetroot makes a fantastic staple to a starter dish due to its versatility. It pairs equally well with cheese as it does fish, so whatever the dietary requirements or preferences of your guests there is something in this collection to get their taste buds going. If you are catering for vegetarians, impress with a beautifully presented beetroot and goats cheese salad. Agnar Sverrisson’s visually stunning English beetroot is topped with goats cheese snow, while Alan Murchison’s roasted beetroot recipe is set off with a black olive tuile. The vivid staining qualities of beetroot, along with its earthy flavour, make it a popular base for curing mixtures, à la Simon Hulstone’s soy and beetroot marinated salmon. 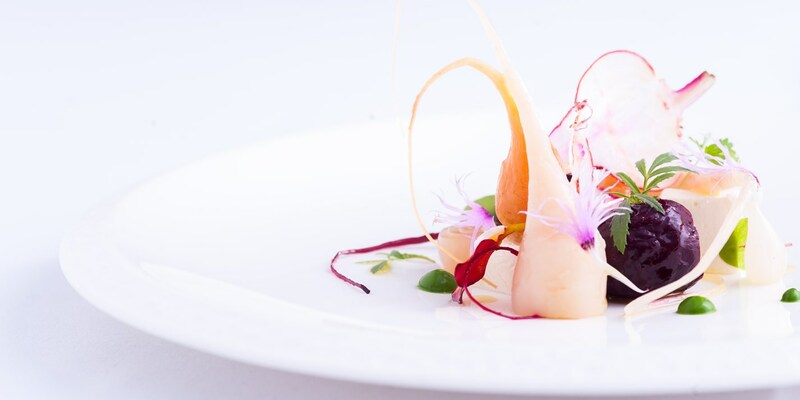 For a lighter, brighter dish, try Simon’s scallop and beetroot ceviche recipe - a shock of yellow and white.